I am a freelance web developer based in El Paso, TX. I have developed websites for entertainment professionals, The University of Texas at El Paso, Candlelighters of West Texas & Southern New Mexico, and various small businesses through out the United States. 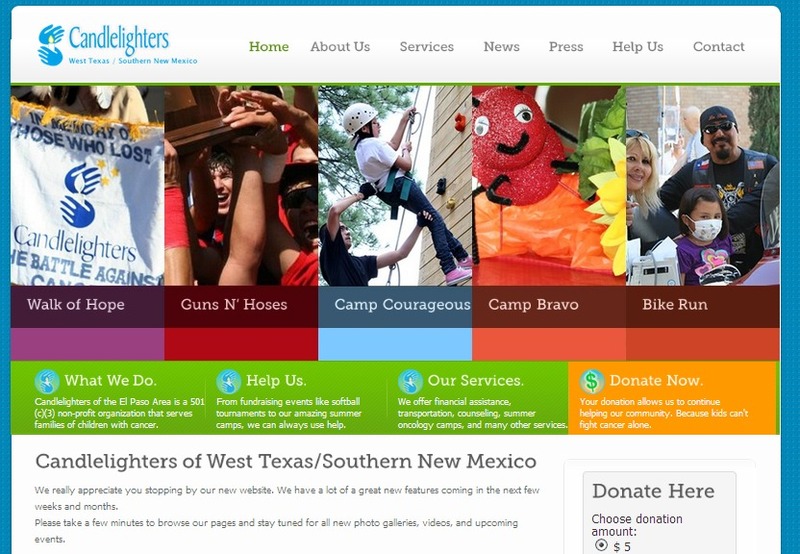 This is a screenshot of the new redesigned website for Candlelighters of West Texas & Southern New Mexico. This project is still in progress.